A particulate air filter is a device composed of fibrous materials which removes solid particles as mold, pollen, bacteria and dust from the air. It plays a vital role in any device where it is used such as the air conditioner. It prevents abrasive particulate matter from entering the engine’s cylinder where it could cause mechanical wear and oil contamination. Air filters which are cleaning devices obstructs unwanted and harmful particulate matter from circulating through in the home. An essential component of the HVAC system which keeps your home with a well ventilate, clean and free air. Just as the entire system, is also of paramount importance and needs proper maintenance to avoid being damaged. Before proceeding to how often you have to change your air filter. rotect the engine of the air conditioning system and every other system where found. It does this by preventing dirt getting into the engine. It helps keeps the engine in a safe working mode. Little wonder while when it encounter a little hitch, the engine is at risk at being damaged. It is more easier to repair, clean or replace your air filter than an engine not neglecting the fact the engine of any device is the heart of that device. To this purpose, this guide will not be complete without teaching us on when our air filters should be changed in other to avoid further and vague damages. Ignition problem – This is when plugs are gunk up which prevents it from sparking. It result to an inappropriate working of the Ac’s system. Reduced gas mileage – this is one of the most commonest issues associated with a faulty air filter. The engine needs a free airflow to function properly and when it is dirty, this aim is not met, hence, produce a decrease in gas mileage. You need no soothsayer to tell you that its time to change it. Replacement time – After servicing your air conditioner, there is always a specific time set by the owner’s manual usually between 12000 to 15000 miles. Once you are approaching this time limit, it is a clear indication that your filter needs a change. Visual check – A visual check is a routine check which needs to be carried of by you. A brand new air filter is always white with visible holes but an about to be changed air filter changes to dark color with spots of dirt like substances as dust on it. 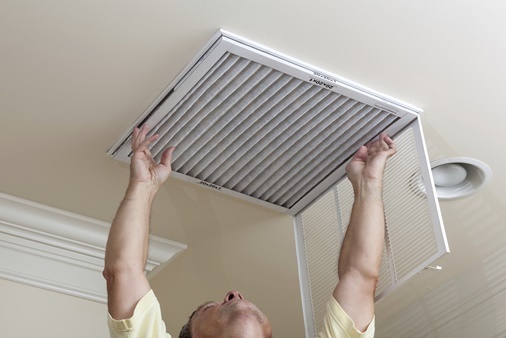 Keep your air filter clean and extend the life span of your system’s engine.